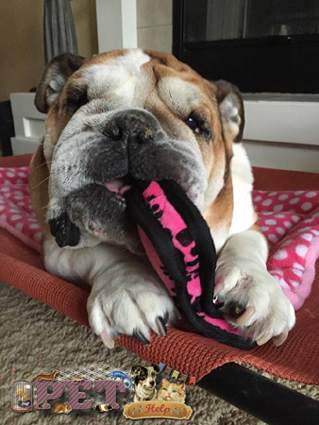 This article was originally written for our Special Needs Bulldogs group, so it will be mostly specific to Bulldogs but it will also help those with other dogs too. Diapering a Bulldog can be quite intimidating the first time you try. I know for me, I had a very hard time fumbling and strapping. I probably worked on my diaper creation for at least 30 minutes, and in the end, my puppy could not even move because I had him so strapped up!